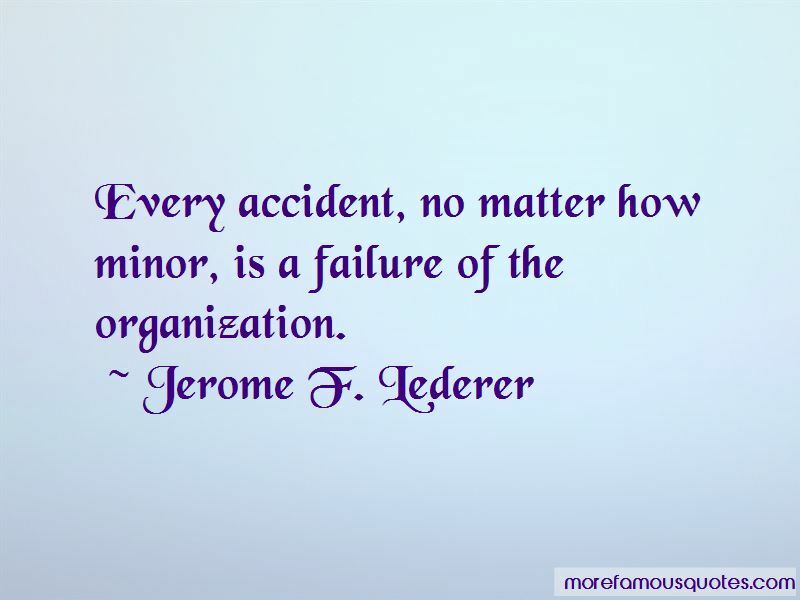 Enjoy the top 6 famous quotes, sayings and quotations by Jerome F. Lederer. 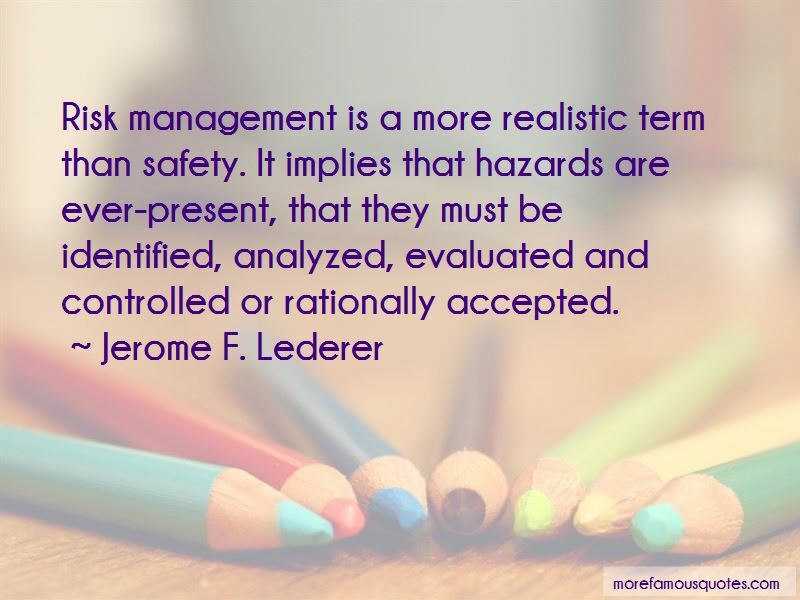 Risk management is a more realistic term than safety. It implies that hazards are ever-present, that they must be identified, analyzed, evaluated and controlled or rationally accepted. 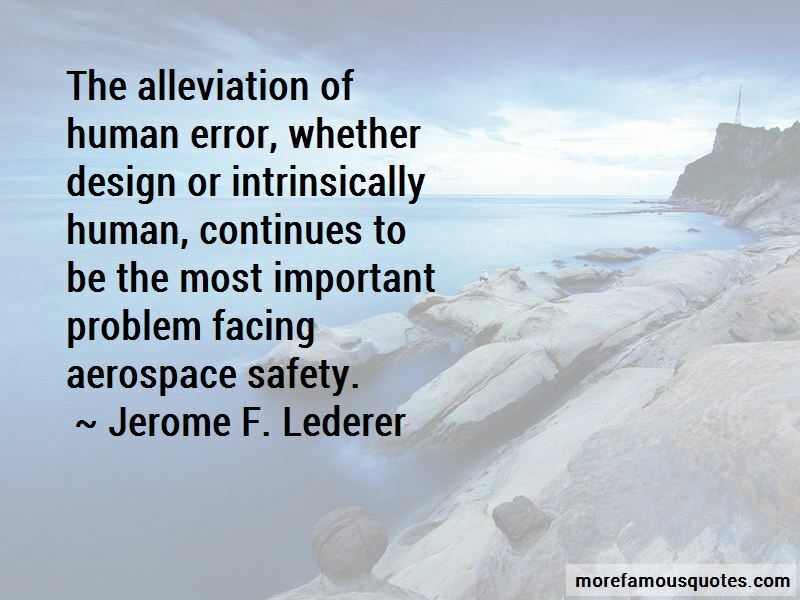 Want to see more pictures of Jerome F. Lederer quotes? 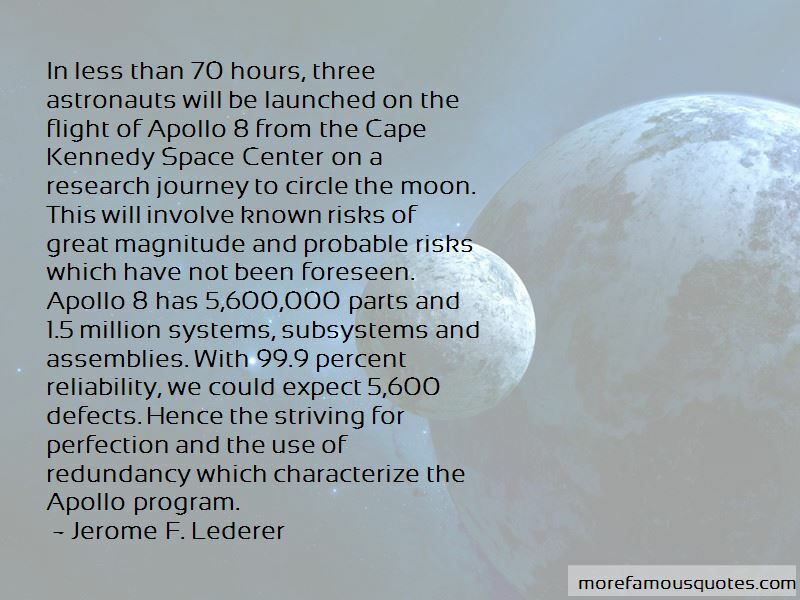 Click on image of Jerome F. Lederer quotes to view full size.